The following is a series of facts about Mongolia that may help international journalists to quickly learn about Mongolia and possibly write an article from a new and interesting angle during their short visit. The MFA is ready to provide assistance in research, interpretation and photography for any media representative interested in writing an article. A country that opted for multi-electoral democracy in 1990 after 70 years in communist regime, Mongolia has recently been hailed as ‘an oasis of democracy’ by the U.S. Secretary of State John Kerry. Mongolia had its 7th Parliamentary election in June 2016, defined as a relatively competitive election by OSCE/ODIHR Election Observation Mission in Mongolia. This year’s election witnessed an increase in voter turn-up for the first time since 1992, at 72.1% of the population. Mongolia is ranked as 30th among 129 developing and transitioning countries in Bertelsmann Stiftung’s Transformation Index (BTI), having chaired the 7th Ministerial meeting of the Community of Democracies (CD), the world’s most reputable democracy movement, in 2013, and the Freedom Online Coalition, an intergovernmental coalition for promoting internet freedom, in 2015. However, the dominance of the two-party political system has prompted international researchers to express concerns that democracy in Mongolia may regress. Moreover, the economic troubles embattling the political system are causing instability in government and swing voting in elections. Similar to most resource-rich nations, Mongolia has not avoided being subject to wide-spread corruption. In 2015, Mongolia ranked 72nd out of 168 nations in the Corruption Perception Index (2015) by Transparency International. A myriad of economic opportunities, including liberal policies on mining licenses, have created risks of high corruption and exposed weak governance. However, this sector has come under strict scrutiny thanks to several organisations, including the Natural Resource Governance Initiative (NRGI) and Extractive Industries Transparency Initiative (EITI), which pressure mining companies to be transparent and accountable with resource extrapolation. Transparency initiatives and the government-led surge in e-governance have become the main actors eliminating corruption and conflicts of interest, while strengthening good governance in Mongolia. The president of Mongolia, Elbegdorj Tsakhia, is the leading voice advocating for anti-corruption in Mongolia; his presidency has prioritized combating corruption by reforming the judiciary system in Mongolia. In 2014, he submitted the Budget Transparency Law, which was approved by parliament. With an unofficial moniker of “Glass Account” law, the legislation forces all government departments and agencies to make all public spending and financial transactions data openly accessible to the public. Mongolia, as a country with delicately balanced foreign diplomacy, runs 31 embassies and 81 consulates overseas. 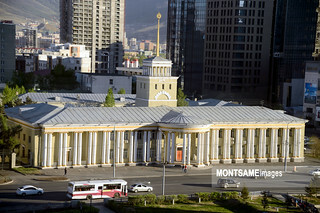 There are 23 foreign embassies and 27 consulates operating in Mongolia. 34 out of 51 ASEM nations have diplomatic representatives permanently residing in Mongolia. Mongolia is the only nation in East Asia that is on friendly terms with Pyongyang and therefore carries an essential advantage when it comes to regional dialogue on security and stability. Mongolia not only has thriving relationships with all of its neighbors; it is also considered one of the most peaceful nations in the Asia-Pacific region, with a constantly improving status. Sandwiched between the two great powers of China and Russia, Mongolia practices a multi-vector policy, billed the Third Neighbor Policy. Mongolia regularly receives a high level of diplomatic visits from the U.S. and Japan. In January 2016, Australia posted an ambassador in Ulaanbaatar for the first time. The United Arab Emirates (UAE) also plans to open an embassy in Ulaanbaatar this year. Pax Mongolica, the Latin term for Mongol Peace, defines a period where peace, stability, economic growth, cultural fusion, and cultural development thrived in Mongol-occupied territories, following a century-long conquest of Eurasia by the Mongol Empire. Historical documents also reveal that rulers of the Mongol Empire highly valued trade across Eurasia; the Silk Road route prospered under the heavy guard of the Mongols. Today, the forgotten term has resurfaced in a modern context with, as history scholars ­— including Lyce Jankowski, Sackler Research Fellow at Oxford University — brought to light, extended research. The Minister of Foreign Affairs in Mongolia, Purevsuren Lundeg, also believes that modern Mongolia can play a similar role as the nation strengthens ties with both Asia and Europe and continues to build relative international prominence, despite being a small and modest country with limited geopolitical significance. Since the dismantling of Soviet rule, Mongolia has warmly welcomed international development and aid agencies in order to receive funding and technical assistance for social and economic development. As of 2005, more than 100 international NGOs have set up shop in Mongolia alongside 5,000 local NGOs. The country’s civil society and development policies are heavily influenced by international organisations. There are several outstanding cases of how NGOs, including UNDP, JAICA, KOIKA, the Millennium Challenge Corporation and the Open Society Forum funded by George Soros, have helped developing nations like Mongolia. On the regional level, Mongolia has a strong, NGO-supported civil society and government, while many neighbouring countries crack down on NGOs. Several new archeological discoveries have been made in Mongolia, namely from the bronze era, as well as 5th-10th century burials and artifacts found in Western Mongolia. 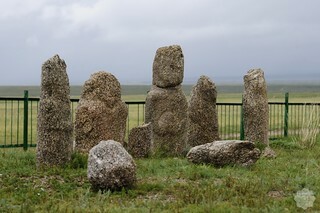 Recent, headline-making discoveries include 1,500-year-old remains of a woman from the Altai Mountains in Western Mongolia, who was identified as being of Turkic origin, is currently undergoing restoration work at the Mongolian Heritage Center, and ancient artifacts from the New Stone Age to the 19th century and modern bows made by contemporary masters went on a rare public display at the Museum of National History. 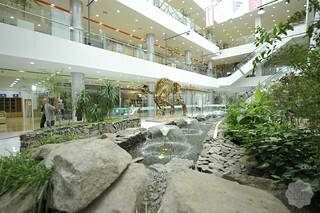 When it comes to paleontology, Mongolian researchers are well known internationally. Last year, Mongolia alone identified over 80 species of dinosaurs out of 540 named species from 300 valid dinosaur genera worldwide. The U.S. and Mongolia have conducted extensive, coordinated research in this field of study. However, there’s a growing opportunity for Mongolia and China to work together in unearthing more fossils in the Gobi Desert. In 1923, American adventurer and naturalist Roy Chapman Andrews visited Mongolia and accidentally discovered dinosaur eggs. The treasures he found became the inspiration for the popular Indiana Jones franchise. Researchers in the Gobi Desert are working to save what remains of velociraptors, made famous by the film Jurassic Park, which roamed the region 80 million years ago. Unlike similar fossil-rich locales in the U.S., Bayanzag has no museum, no visitor center, no on-site staff, and no year-round protection. This leaves the extraordinary fossils of Protoceratops, Oviraptor, Pinacosaurus, and others vulnerable to weather, poaching, and accidental damage; local communities lack adequate resources to protect them or a means to benefit from an increasingly popular tourist attraction and valuable scientific resource. Mongolian paleontologist Bolortsetseg Minjin is working to change this. Initially supported by the Museum of the Rockies in Bozeman, Montana in the United States, she founded the Institute for the Study of Mongolian Dinosaurs (ISMD), a nonprofit organization with a mission to develop a self-sustaining active community of Mongolian paleontologists and a museum in Mongolia to preserve dinosaurs and other national treasures for generations to come. 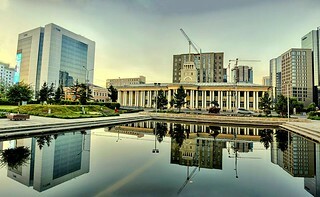 Last month, the UN in Mongolia reported that the country has made moderate progress in meeting some of the Millennium Development Goals; it disclosed that last year, Mongolia entered the high human development category, having passed the 0.7 threshold on the UN’s Human Development Index (HDI), a composite index of life expectancy, education, and income per capita indicators. According to the report, the country is currently placed in 90th position, alongside China, out of 188 nations. At the opening event of the report, it was announced that Mongolia improved its HDI by an annual rate of 1.35%, improving faster than most of the countries ranked above it. 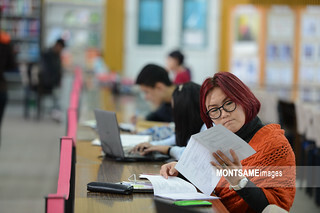 According to the Social Progress Imperative index, Mongolia scores highest on the Access to Basic Knowledge category, but lags on the Health and Wellness component. In the Opportunity Dimension, Mongolia is strongest on Personal Rights and has the most room to improve on Access to Advanced Education. 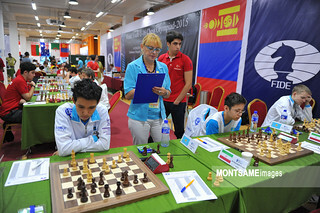 Mongolia has been making rapid ascendance in the world of memory sport by setting the records high at nearly every international tournament. A band of young Mongolians has collectively claimed third place in the world ranking by setting a staggering 484 world records across 37 international competitions. In June 2016, a two-time world record holder from Mongolia snatched silver and bronze medals, beating the world’s top memory athletes at the second largest memory sport event, The Extreme Memory Tournament (XMT) in San Diego. In the same month, a 13-member team from Mongolia swept 22 medals across 10 categories, while the youngest member of the crew, Bat-Erdene B, set a new world record in the “Abstract Images” category in a junior level challenge at the Malaysian Open Memory Championship 2016. There are now three International Grand Master of Memory Champions, six Grand Masters, and seven International Masters spearheading from Mongolia. One of the youngest athletes and world champion, Enkhmunkh Erdenebatkhaan, age 18, holds a personal record of recalling an entier deck of cards in 28 seconds (the world record is 20.44 seconds). In 2015, he rose to stardom in China after a popular TV show, The Brain, challenged Enkhmunkh’s mind skills in a spur-of-the-moment task in front of one billion viewers. Accordingly, he has received a ban from playing in casinos. The prominence of the memory champions of Mongolia began with 30-year-old Khatanbaatar Khandsuren. In 2008, Khatanbaatar, who was a law student under fierce pressure to finish his degree at Gazi University, Turkey, discovered memory training from a TV program, which led him to practice the art from the basics. In 2010, he took the plunge, testing his hard-earned skill at the World Memory Championships, where he, to his own astonishment, came in as third place among 800 participants. He then returned to his homeland, where he founded his own training school, the Mongolian Intellectual Academy. Today, the well-established academy plans to open a primary school in the near future, borrowing a unique, memory enhancing curriculum from the U.S. Khandsuren currently serves on the Board of National Managers at the World Mental the Memoriad Sports Federation, founded in 2006 by a man nicknamed the “Human Calculator”. As the world popularizes artificial intelligence as the next big revolution in the history of human development, a counterargument, that it is the human brain which has extraordinary capacity, is exemplified by the memory champions. 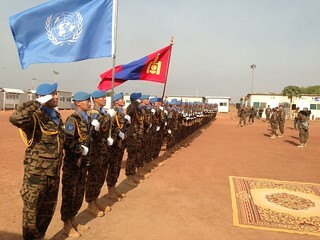 Since its dispatch of two military observers in 2002, Mongolia has become a significant contributor to UN peacekeeping missions, as well as contributing to non-UN operations. From 2005, it contributed a little over 200 troops to peacekeeping and after a short period of fluctuation, significantly increased its contributions in 2012, specifically to the UNMISS mission in South Sudan. Mongolia has deployed a total of 4,800 personnel for UN peacekeeping missions, as well as more than 3,500 personnel to non-UN missions in Afghanistan, Iraq, and Kosovo and 145 officers (including 102 UN military observers) for various staff assignments. Mongolia also hosts one of the largest multinational peacekeeping exercise in the world held in cooperation with the US Pacific Command’s Global Peace Operations Initiative program, every year. Titled KHAAN QUEST, the last multinational peacekeeping exercise was held between May 22 – June 4, 2016, with over 2,000 peacekeepers from 46 countries involved in the exercise. 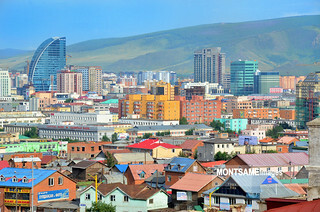 Mongolia has undergone a significant economic and political transformation since the early 1990s. Mongolia is a democratic, increasingly market-oriented, private sector based country with a rapidly accelerating market for natural resource endowments. Mongolian mining product’s weight as portion of total export has increased from 35% in 2000 to 79% in 2015. Because Mongolia is becoming increasingly dependent on the export of raw minerals, world price fluctuations for commodities have had destabilizing effects on the nation’s economy. However, the landslide victory of the opposition spells solid and reliable political environment for investment, experts say. 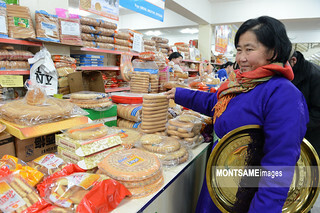 A major policy in Mongolia is to diversify central economic sectors and support national industries in order to protect its economy from drastic fluctuations due to trade shifts. In line with this thought process, Mongolia has focused on developing export–oriented manufacturing services which are private sector-led and high-technology based, mitigating its dependence on mineral resources. In the private sector area, focusing on formulating sound market economic principles and fair competition play a key role in national development, particularly in creating new jobs, increasing the income of citizens, and eliminating poverty. Cheaper credit and signs of long-awaited movement in Mongolia’s mining industry are fueling hopes of a rebound in the country’s banking sector. The outlook for Mongolia’s banks has been less than favorable as of late, with analysts citing both higher levels of non-performing loans (NPLs) and a fall in lending activity as causes for concern. However, newfound stability, improved business sentiment, and monetary easing are all seen as key for stronger industry growth. In May, the ratings agency Moody’s warned that some of the country’s banks could face downgrades due to their high exposure to commodities. Metals and mining, which account for 10 percent of all outstanding loans in the Mongolian banking system, were cited as the riskiest venture for banks in terms of energy and other commodity loans. Approved in the Mongolian parliament in February 2016, the Mongolian Sustainable Development Vision 2030 policy paper reveals details of long-term development goals for Mongolia. 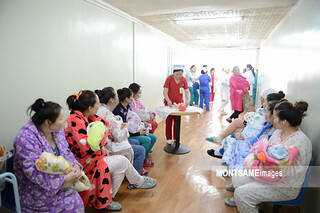 Mongolia’s population reached 3 million in 2015, and with GDP per capita at 4,200 USD, the country moved up the scale to become a middle-income nation. The new development policy envisages Mongolian GDP per capita to reach 17,500 USD, at a reasonably sustainable GDP growth rate of 6.6 percent a year. The policy document abolishes the previously known development plan, “Millennium Development Goals,” approved in 2008. The new policy sets out 45 development goals to be reached by 2030 and was created in tandem with the UN’s Sustainable Development Goals. Unlike previous development plans, the current paper prioritizes diversification in the economy, with a focus on increasing national competitiveness in key economic sectors, including mining, tourism, and agricultural exports. If government projects are kept on target, Mongolia could also tackle gaps in wealth distribution to eradicate extreme poverty entirely. According to policy makers, the government’s decision to revisit development goals will positively impact the investment environment, as the country’s new law on development planning makes it mandatory for all political parties to adhere to the said development policy. President of China, Xi Jinping, has been on a string of official visits aimed at garnering support for the proposed Silk Road economic belt project and trans-Eurasian economic corridor among neighboring Eurasian countries. On June 23, on the sidelines of the 16th Meeting of Council of Heads of State of the Shanghai Cooperation Organisation (SCO) in Tashkent, Uzbekistan, President Xi chaired the third trilateral meeting between the Heads of State of Mongolia, the Russian Federation, and the People’s Republic of China. As chair of the meeting, China proposed to co-implement 190 projects, 32 of which Mongolia has signed agreements on, including the creation of a joint investment center that will assess the financial requirements and feasibility of each project by the end of 2016. 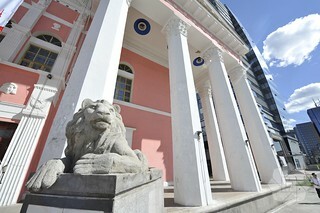 Xi Jinping, satisfied with the momentum of trilateral cooperation, pointed out that endowed with the advantage of being each other’s neighboring countries, China, Russia and Mongolia have carried out close cooperation; the three nations have actively implemented the Mid-Term Roadmap for Development of Trilateral Cooperation among China, Russia and Mongolia and achieved positive progress in economy and trade, people-to-people cultural exchanges, transit transport, tourism, and sports. 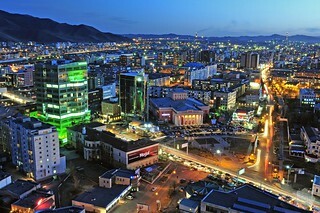 Ulaanbaatar benefits from the tripartite economic partnerships between these countries. China’s AIIB, Bank of China, and Alibaba Group have established representative offices in the Mongolian capital. President Putin endorsed Mongolia’s proposal to open a joint company in Ulaanbaatar that would oversee investments in Mongolia. After signing final documents enforcing the free trade agreement in June 2016, Japan officially became Mongolia’s first free trade partner. The advanced trading negotiations were part of the Economic Partnership Agreement, sealed between the two nations in February 2015. Japan, as a close ally and the fourth largest trading partner of Mongolia, with nearly JPY 32 billion in goods exchanged in 2015, will phase out import tariffs on 9,300 products, largely consisting of mineral and agricultural exports. In return, Mongolian customs will remove tariffs on 5,700 imports from Japan. The EPA will impose import tariff annulments on almost 95 percent of the trade turnover. Mongolia will inevitably benefit from the East Asian economic integration as trade flows with Japan become increasingly fluid, however the Mongolian government also expects trade exchanges to help attract investments and introduce high-tech know-hows. On a grander scheme, the agreement allows Mongolia to connect with other export markets through Japan and expand a regional product network through economic connectivity. Can Mongolia tackle its imbalance in foreign trade? Mongolia has general agreements on trade and economic partnerships with 24 countries, yet export remains to be a large challenge. As of mid June, Mongolia’s foreign trade turnover totaled USD 3.2 billion. Since the beginning of this year, Mongolia’s exports amounted to USD 1.9 billion, while imports reached USD 1.3 billion. Trade balance doubled against the same period last year, reaching USD 610 million according to the General Department of Taxation and Customs. In 2015, Mongolian exports to Japan reached 20.3 million USD in value terms, while it imported 6 million USD worth goods from Japan. Trade between Mongolia and South Korea came to USD 300 million in 2015. According to 2015 data from Trading Economics, China accounts for 89 percent of Mongolia’s exports and 26 percent of its imports. Based on the Peoples’ Government’s decision, dated 10 February, 1922, the Nalaikh coal mining territory was accepted as a state-owned territory, implemented starting on the 25th of December, 1922. Consequently, this historical day has been celebrated as the Mining sector workers’ day. Tavantolgoi coal mine was discovered in 1934. By the decree, dated 16 April, 1966, the mine was owned by the state and ready for industrial development. On the 17th of October, 1961, Shariingol mine development commenced. Since then, the mine has supplied the total domestic heavy oil demand. The amount of oil produced by Shariingol mine in its first year was equivalent to the amount produced by the Peoples’ Government in their first 20 years. The agreement between Mongolrostsvetment LLC – Peoples’ Republic of Mongolia and the USSR was executed in 1973. Under this agreement, the management and administration of the Tolgoit gold plant, Berkh and Khajuu-Ulaan mines, and the Airag spar mine in the Selenge province were united. On 14 December, 1978, Mongolian-Soviet the joint Erdenet enrichment plant started its operations, with an annual, preliminary enrichment capacity of 4 million tons of ore. Currently this plant has over 6,000 employees and a revenue of 1.2 trillion MNT; a net profit of 294.6 billion MNT was generated in 2011. 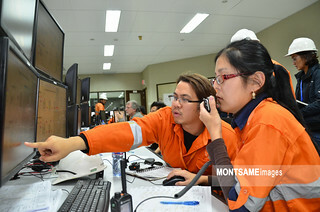 The Oyutolgoi project is the largest project implemented by the Government of Mongolia; its production started in 2012. Its economically viable reserve is determined to be 31.1 million tons of copper, 1328 tons of gold, and 3.38 billion tons of ore, containing 7601 tons of silver. In November 2012, Mongolia issued the aptly named “Chinggis bond” to raise $1.5bn from international, sovereign bond investors. The proceeds of Chinggis bond largely went to fund infrastructure projects, including the construction of highways linking 7 provinces with Ulaanbaatar, new paved roads in Ulaanbaatar, and the development of new energy infrastructure. The government also directed the fund to provide cheap loans to 129 companies in processing and manufacturing. From 2013 to 2015, a total of 4.9 trillion MNT was spent on major roads projects, the private sector, and other development efforts. During these two years, a total of 946.7 billion MNT was spent on 2,250 km of roads, 318.3 billion MNT on 69 engineering infrastructure projects, 120.5 billion MNT on the Street Project, and 1.39 trillion MNT on road infrastructure projects that are now at 87 percent completion. Nearly two trillion MNT has been spent on major development projects that are at 87 percent completion. 1.56 trillion MNT in financing was issued for private sector projects that are at 71 percent completion. 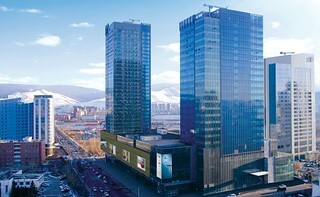 For many foreign investors, Mongolia’s ongoing infrastructure development has become eye-catching. Behind the glazed-over stories of mining boom and bust, the Mongolian government has been quietly pouring public investments into developing a number of large-scale infrastructure projects. Mongolia is actively seeking opportunities to finance specific infrastructure projects with AIIB funds. In June 2016, Mongolia’s former Prime Minister Saikhanbileg Chimed met with President of the Asian Infrastructure Investment Bank (AIIB) Jin Liqun to discuss and exchange views on cooperation and talk about financing infrastructure projects, including a 267 km railroad project connecting Tavan Tolgoi to Gashuunsukhait and a transit railroad project connecting Russia and China. The Ministry of Food and Agriculture of Mongolia announced in May, 2016, that the country’s livestock head count reached a record 73 million, despite distress calls made by herders living in extreme climate conditions early this year. 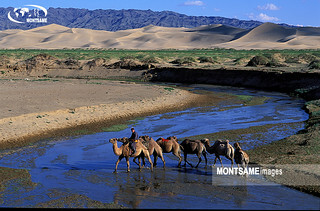 Mongolia, a country well known for maintaining traditional herding methods in the vast pastoral land, registered 55.9 million heads of livestock consisting of goats, sheep, cattle, camels, and horses at the end of 2015. Since then, the country has gained an additional 18.8 million newly bred livestock in the first four months of 2016, an annual increase of 7.6% compared to the same period last year. 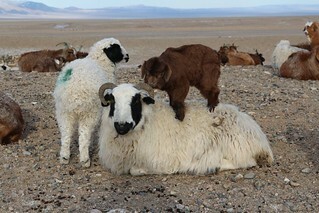 The main products from livestock in Mongolia are meat and raw materials such as cashmere, wool, and leather. Last year, Mongolia exported 4.7 million tons of meat, which is a moderate start to Mongolia’s extensive plans to initiate agricultural exports in line with the standards imposed by Russia and China. The Ministry of Food and Agriculture reported this year that it is working toward increasing sea buckthorn exports to foreign markets. A total of 1.08 million USD worth of sea buckthorn oil, fruit juice, and dried leaves were exported to Russia, Japan, and Singapore last year. Mongolia started exporting sea buckthorn to Japan in 2010. The Fruits and Berries Association of Mongolia reported that it is seeking advice from Japan on sea buckthorn reserves, technology, and packaging through the economic partnership agreement established between Mongolia and Japan. Through this agreement, the sea buckthorn export customs tax (previously at 14 percent) will be exempt. A number of organic skincare and health product manufacturers, including Seaberry Farm Project, have started exporting. Similarly, food and beverage companies, such as TESO Corporation, started exporting wildberry juice to China, while expanding its export markets to Kazakhstan, Kyrgyzstan, and Uzbekistan. Mongolia is also the world’s second largest producer of raw cashmere; efforts are being made to increase cashmere production in order to tap into new markets around the world. Mongolia’s renewable energy production accounts for only 7 percent of total energy production, despite having the resources for 2.6 terawatts of energy derived from renewable energy sources. However, the country has plans to steadily increase renewable energy production to 30% by 2030. This is the first major step toward building renewable energy capacity from the combined sources of wind, solar, hydroelectric, and geothermal energy. Within the next five years, the country is expecting 1.5 billion USD worth in investments going toward over 10 solar and wind farm developments across the country, which will increase renewable production by 600 megawatts. In 2015, Mongolia reformed renewable energy development. The government created energy development goals to be reached by 2030. Mongolia’s largest renewable developer, Newcom, completed the first major wind farm development in 2013; the company has partnered with Softbank to develop additional farms in conjunction with the Asia Super Grid. A wind farm project, named Sainshand Wind Farm, was invested in Ferrostaal Industrial Projects; construction will begin this year. Mongolia is also very keen to tap into hydropower; it plans to develop the $830 million Egiin Gol hydropower plant. The government’s assessment of Shuren Hydro on the Selenge river and another project on the Orkhon river is being carried out with funds from the World Bank. In January 2016, Mongolia introduced a customs tax and VAT exemption to a list of equipment, facilities, and accessories used in renewable energy production. Mongolia’s own solar panel manufacturer, Sankou Solar, has exported over 40,000 units of 10MW solar panels to Japan. Ahead of the COP21 Paris agreement, Mongolia submitted a pledge to reduce emissions by 14% by 2030. After decades-long heavy subsidies, the Mongolian aviation industry has matured enough to go through an exponential growth phase and is opening up to international competitors. In 2016, Air Astana and Air Busan became new entrants to the market, offering direct flights to Ulaanbaatar, on top of the existing international flights operated by Mongolian Airline MIAT and foreign carriers, such as Korean Air, Turkish Airways, Air China, and Aeroflot. Mongolia’s own carrier, MIAT, which operates with 5 aircraft (three Boeing 737 800 and two Boeing 767 300ER), conducts regular flights to Berlin, Frankfurt, Moscow, Beijing, Hong Kong, Seoul and Tokyo and extends flight services to a dozen other destinations on a seasonal basis. The flag carrier of Mongolia made 241.3 billion MNT in revenue and gained 2.5 billion MNT in profit in 2015. In 2015, MIAT carried 461.450 passengers (up by 14.7%) and 2,000,624 tons of freight via 1,486 flights, a 13.7% increase from the previous year. Countries, including Azerbaijan and Bangladesh, are in process of holding discussions to introduce flights to Ulaanbaatar. 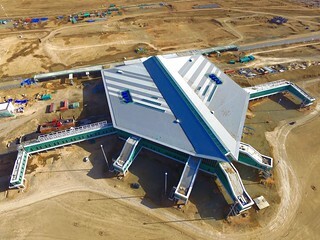 The Chinggis Khaan International Airport has just completed building nine additional airport aprons, bringing the numbers of total aprons to 34. It has also opened a 1,200 passenger transit hall, capable of servicing an hour. Additionally, the business class lounge, baggage handling, departure halls, and air bridges have all recently been repaired. Mongolia is currently building its second international airport in Khushig Valley in Sergelen soum of Tuv province, approximately 50 km south of Ulaanbaatar, which is due to be complete as early as December, 2016. 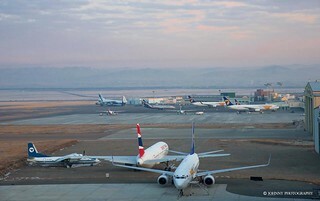 According to the Japan and Mongolian Project executive team, 85% of the planned airport construction has been completed. The New Ulaanbaatar International Airport will have the capacity to receive 21 aircrafts landings, while it expects annual passengers to exceed 3 million. The new Ulaanbaatar International Airport Expansion Project (due to be complete by 2030) includes expansion of the Passenger Terminal Building to 20 gates, increasing the capacity of the new airport up to 22,000 aircrafts and 12 million passengers annually. The construction project of the new airport is largely financed by the Japanese ODA Loans with STEP conditions and is, to a large extent, a symbol of the friendly relations between Mongolia and Japan. In May 2016, the Mongol Post announced a first-of-its-kind partnership with the UK mapping technology company what3words to introduce accurate postal addresses to Mongolia. Mongolians — who are well-known for keeping a nomadic lifestyle for centuries — have had problems in keeping street addresses up to date, as the urban landscape continues to change at a fast rate and the nomadic population is far from being on the grid permanently. For residents of Ulaanbaatar, the capital of Mongolia, it is still a common routine to use names of buildings for orientations, while the postal and delivery service providers struggle to rely on zip codes and street names only. This partnership demonstrates that both the Mongolian government and businesses are heavily investing in innovative technologies to enhance public and consumer services.